You are at:Start Reading»Pregnancy»Diet & Fitness»Is Dragon Fruit Safe During Pregnancy? Is Dragon Fruit Safe During Pregnancy? When you see the red and delicious dragon fruits, your food cravings do get stimulated. However, your mom to be conscience stops you from satisfying that craving because, during this period, you are extra careful regarding what you eat. When you are adding a new fruit, you should know its health benefits and also whether that fruit will be safe for you and your baby because remember, what you eat will have an impact on your baby’s health as well. Keeping this in mind, let’s see whether it will be safe for you to satiate your cravings for the delicious red dragon fruits and what benefits you will get by that during your pregnancy period. What Is A Dragon Fruit? Dragon fruit is widely known as pitaya. It is a native fruit of North America and South America. Furthermore, in today’s world, you can find this red and delicious fruit all over the world. Depending on the species, there are two varieties of Dragon fruit available in the market, one is sweet and the other is sour. The texture of this fruit is quite similar to that of a kiwi fruit and it also contains black seeds. What Is The Nutritional Value Of Dragon Fruit? When you start consuming dragon fruit, you are opening yourself and your baby up to some of the major nutrients and substances. It has a good amount of carbohydrate content which means you are getting a fair amount of energy that a pregnant woman needs and the calcium present in the dragon fruit makes it even more beneficial for the bone development of your baby. Multiple proteins, iron, and potassium present in the dragon fruit take care of your immunity system as well. Is It Safe To Eat Dragon Fruit During Pregnancy? Well, if you are still speculating whether it would be beneficial to include dragon fruit in your diet then you should know that consumption of dragon fruit during pregnancy is absolutely safe and highly beneficial. In order to get used to its taste and flavor, starting with the delicious red dragon would be an ideal step. What Are The Health Benefits Of Eating Dragon Fruit During Pregnancy? There are numerous health benefits of consuming dragon fruits during pregnancy. The nutrients present in dragon fruits are not only beneficial for sustaining the health of the mother but it is also necessary for the growth of the baby. Prevents Birth Defects: The neural development is very important for a child in order to live a healthy and normal life. The vitamin B-complex present in the dragon fruit plays a pivotal role in developing the child’s nervous system. Boosts Haemoglobin: Many pregnant women do get affected by anemia due to the low level of hemoglobin in their bloodstream. 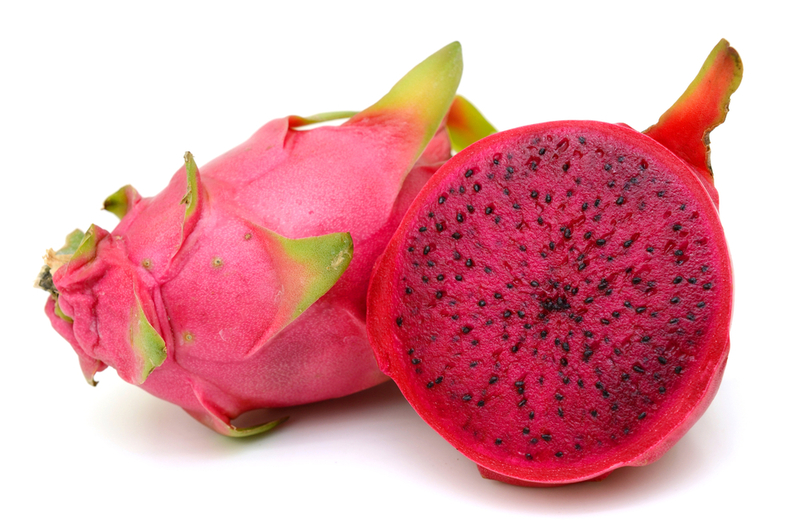 The iron present in the dragon fruit reduces this chance by boosting the hemoglobin level. Good For Heart: The small seeds of dragon fruit is an excellent source of Omega-3 and Omega-6 fatty acids. It is, therefore, highly beneficial for your heart. Helps With Bone Development: For the bone development of the fetus, apart from calcium, phosphorous also play a vital role. Both of these nutrients are there in the dragon fruit. They also improve the dental health of the mother. Alleviates Constipation: Many pregnant women face the problem of constipation. By consuming dragon fruit, their digestive system works a lot better because of the present fiber in it. Thus, consuming dragon fruit during pregnancy will be beneficial if you are prone to constipation. Prevents Infections: Various microbes become a serious threat for the fetus when they find their way through the placenta. Dragon fruit helps in cellular regeneration that prevents any infection from taking place and also provides the necessary antifungal and antibacterial bodies that tackles the present microbes and thus provides a safe and secure place for the fetus to grow. Prevents Preeclampsia: The risk of preeclampsia increases in the pregnant women especially if they have hypertension. Dragon fruits help them by maintaining the blood pressure and blood sugar level which reduces the complications related to pregnancy. Prevents Cancer: It is a nightmare to develop any form of cancer during pregnancy period. Dragon fruit contains beta-carotene, vitamin C and lycopene which by working together, takes care of the free radicals and also repairs the internal damages. The anti-carcinogenic bodies present in the dragon fruit prevent the growth of any undiscovered tumors. Provides Energy: Carbohydrates brings easily accessible energy to the table which can be transferred to the fetus as well. There is a fair amount of carbohydrates present in the dragon fruit. A Healthy Source Of Fats: By providing the energy to keep up the metabolic activities in the body and also by helping the formation of the brain in the fetus, good fats play a key role during the pregnancy period of a woman and dragon fruits are a wonderful source of good fats. Good For Gestational Diabetes: Dragon fruit helps to bring down the sugar levels in the blood. Therefore, it is a good choice for expecting mother experiencing gestational diabetes. Brings Down The Chances Of Miscarriage: The folic acid present in the dragon fruit provides strength to the fetus which genuinely reduces the chances of miscarriage. What Are The Side Effects Of Dragon Fruit During Pregnancy? Usually, dragon fruit is safe and poses no ill effects during pregnancy. However, overeating of dragon fruit can pave the way to some unpleasant health issues during pregnancy. How Can You Include Dragon Fruit In Your Pregnancy Diet? Dragon fruit can be consumed just like any other fruits. You can dice, slice, chill it and have it. You can even blend it to make a smoothie. If you want to consume it differently, then you can extract its juice or prepare a salad with it. By including dragon fruit in your regular diet, you will take one of the wisest decisions to promote the health and overall well-being of yourself and your baby. With so many benefits and almost zero presence of any risks makes dragon fruit one of the healthiest and the safest fruit to consume for a pregnant woman. Previous ArticleStar Fruit During Pregnancy – Safe or Unsafe?